Moldavites are not radioactive. 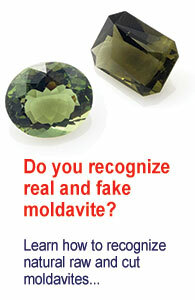 Nevertheless, I do come across this question a lot, so let’s go ahead and debunk this myth of Moldavites’ radioactivity and confirm that they are safe to handle. February 4, 2018 in Theory.